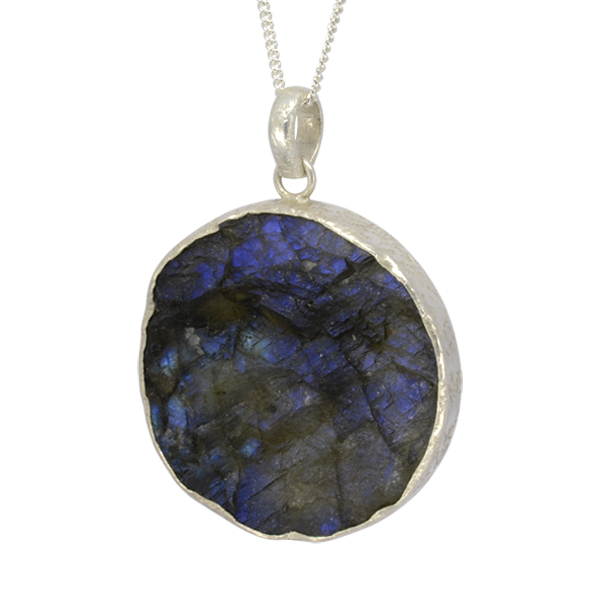 A 30mm round blue or green labradorite pendant with unusual blue green flashes of colour. 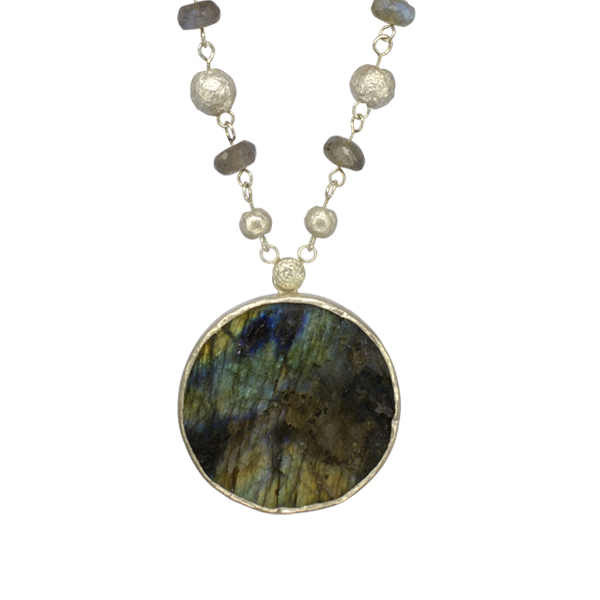 It is hanging from a silver nugget and faceted labradorite chain necklace measuring 18″. Please request a different length if required on ordering. 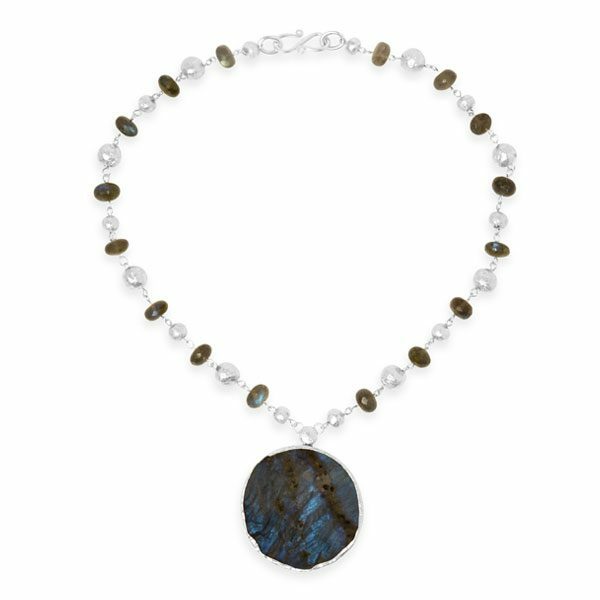 Fitted with our classic S catch this unusual fashion necklace will make a stunning companion to any evening dress or business suit.